The C# version of Wizz RSS works with Atom 0.3, Atom 1.0 and with all versions of RSS. It has been fully tested on Windows XP and is should work on Windows Vista, but it hasn't been tested on Vista. To work, the C# version of Wizz RSS needs the Dot Net Framework version 2.0. It also need Internet Explorer version 7 or 8.Each embedded instance of Internet Explorer behaves almost like a standalone browser. Publish your feeds on any Web page. * Each feed remembers its own tab settings. i.e. Column widths, splitter heights, sort order, etc. Softabar Command Line RSS Reader. Read RSS feeds from the command line. Qweas is providing links to Wizz RSS News Reader 1.0.0 as a courtesy, and makes no representations regarding Wizz RSS News Reader or any other applications or any information related thereto. 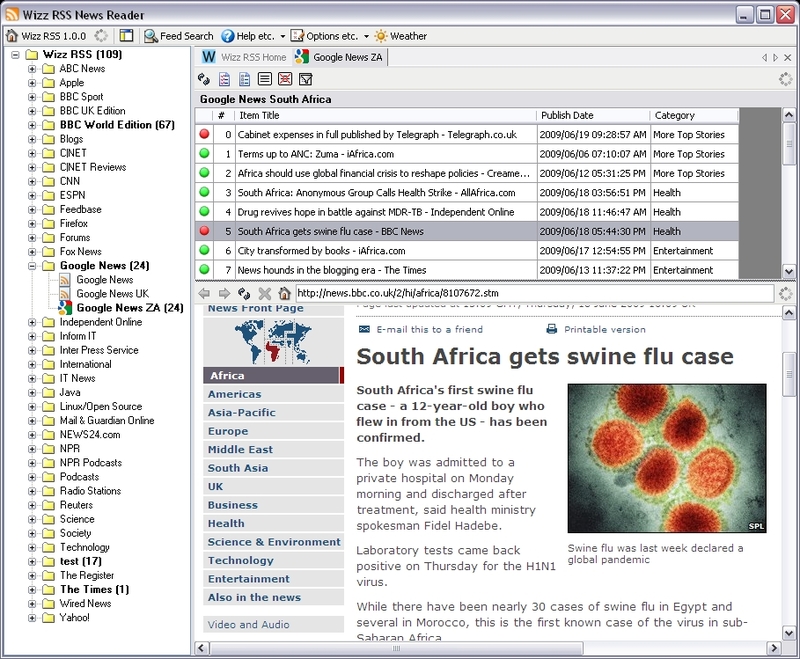 Any questions, complaints or claims regarding this application Wizz RSS News Reader 1.0.0 must be directed to the appropriate software vendor. You may click the publisher link of Wizz RSS News Reader on the top of this page to get more details about the vendor.